Cape Town - Fast bowler Dale Steyn reaffirmed his commitment to the Proteas and insisted that he would not consider signing a Kolpak deal. Steyn has seen several former national team-mates opt for greener pastures in England. In February, the Proteas received shocking news that fast bowler Duanne Olivier signed a three-year Kolpak deal with Yorkshire, much to the disappointment from Cricket South Africa. Players who sign Kolpak deals in England are unavailable for South Africa in international cricket. Steyn, who is South Africa's highest Test wicket-taker, hopes that once Brexit comes into effect that it could prevent future Kolpak contracts. "I think it's each person to themselves. I personally do not want to consider it," Steyn told ANI. "I know it is a concern for Cricket South Africa and a very difficult one to stop. Maybe Brexit will prevent Kolpak deals from happening, who knows." 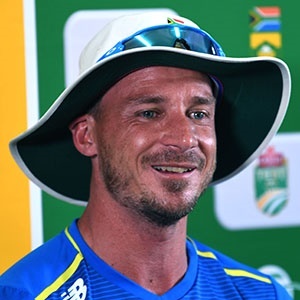 Turning the attention to next month's Cricket World Cup in England and Wales, Steyn is expected to be named in Ottis Gibson's 15-man squad, which is scheduled to be announced on April 18. "I would obviously love to win the World Cup for my country, I am expecting normal English conditions for the World Cup," said Steyn. "There are many teams that can win the World Cup. England, Australia, India and more."